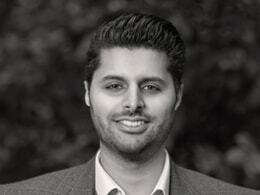 Vik joined PSG Global in 2018, with over 10 years’ experience in the commercial property industry. Skilled in new business development, Vik is an excellent communicator with the ability to work alongside all levels and aspects of a project team. Vik spent a number of years as an office agent in central London and is able to provide thorough real estate advice to clients at the earliest stage of the relocation process. His vast knowledge of the London office market and industry contacts allow him to keep his ear to the ground on market information, which can often be paramount to clients when deciding their real estate strategy. He has a commitment to high standards of customer liaison, resulting in high client satisfaction and essential repeat business.